1. The promoter is: Twickenham Experience Ltd (company no. 3976080) whose registered office is at Rugby House, Twickenham Stadium, 200 Whitton Road, Twickenham TW2 7BA. 2. 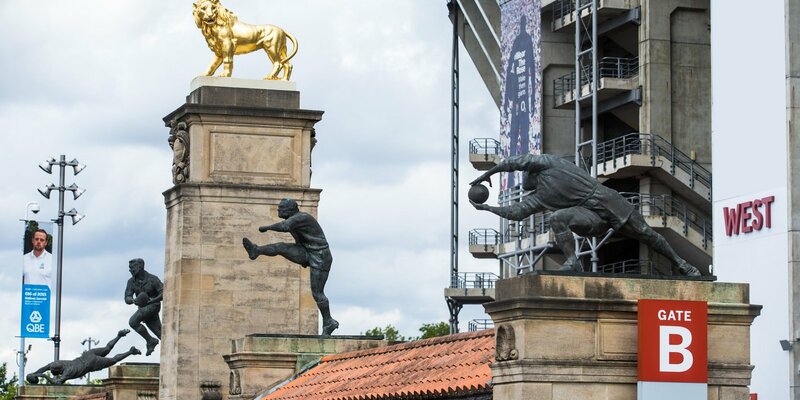 Employees of Twickenham Experience or RFU or their family members or anyone else connected in any way with the competition or helping to set up the competition shall not be permitted to enter the competition. 5. Closing date for entry will be the last day of each month from 1st November 2016 - 31st August 2017. After this date the no further entries to the competition will be permitted. 7. The rules of the competition and the prize for each winner are as follows: From 1st November 2016 - August 2017 a monthly prize draw will take place on the first Wednesday of every month for the previous month, subject to at least one entry being received. Entrants are asked to share their experience, in particular of food and hospitality, at Twickenham Stadium by posting a picture and comment on Twitter, Facebook or Instagram using the hashtag #sharetwickers. The winner will be selected within 28 days after the calendar month it has been entered in and will be informed via social media. The winner will receive an England Rugby shirt (size to be agreed on communication with winner and subject to availability) which will be posted to the address that is supplied by the winner. 11. Winners will be chosen by an independent adjudicator appointed by the Promoter based on the best entry within the month entered. 12. The winner will be notified by social media and/or email if contact information available within 28 days of the closing date. If the winner cannot be contacted despite multiple attempts or does not claim the prize within 14 days of notification, we reserve the right to withdraw the prize from the winner and pick a replacement winner. 13. The promoter will post the item to the winners confirmed address by 2nd class mail within 28 days. 21. The winner agrees that neither Facebook, Twitter or any other Social Network will have no liability under or in connection with this Prize Draw.